It's not the kind of thing the consumer advocates like to report, but one of the world's leading electronics manufacturers and retailers is giving its customers a break, paying more warranty claims, keeping extended warranty prices steady, and giving customers a better value proposition on their product protection plans. Is Apple Inc. holding back a little with its extended warranties, keeping prices low and profits slim, in order to deliver a better value to its customers? Is it becoming more permissive when it comes to paying claims, letting expenses climb to unprecedented levels? After examining multi-year trends in some key warranty metrics, it looks like Apple is allowing basic warranty expenses to rise a little faster than overall revenue, while extended warranty sales rise a little slower than overall revenue. The result is a more even-handed balance between product warranty and extended warranty than existed at the company five or ten years ago. Apple just reported both its basic warranty expenses and extended warranty revenues in an annual report filed with the U.S. Securities and Exchange Commission for the fiscal year ended September 27, 2014. And it reveals some surprising trends in the metrics for both types of product protection. First, let's look at the changing product mix, which is key to understanding the changes in warranty expenses and service contract revenue. Back in fiscal 2003, the Macintosh family of personal computers accounted for fully 72% of the company's total revenue, and the iPod digital music player for only 6%. By 2006, the iPod was outselling the Mac. And the iPhone and iPad didn't yet exist. As can be seen in the chart below, the iPhone accounted for 0.5% of revenue in its debut year; by fiscal 2014 it was up to 56%. The iPad tablet peaked in fiscal 2012 at 21% of revenue; now it's down to 17%. The Mac is still holding onto 13% of total revenue for the past two fiscal years. The iPod is now down to 1.3%. The company has therefore transformed from a desktop and laptop computer maker into a digital music player company and then into a smartphone company. One could reasonably expect that as this digital processing power shrunk in size but grew in power, the company's warranty expenses would rise. But it's not quite that simple. Not included in Figure 1 is any measure of sales growth. And sales growth has been incredibly swift. Total revenue in fiscal 2003 was $6.2 billion. By fiscal 2007 it was up to $24 billion. It passed $108 billion in fiscal 2011. And in the fiscal year ended September 27, 2014, Apple's total revenue was about $182.8 billion. In Figure 1, it looks like the Mac family is at the end of a long fade out. But in reality, Macintosh revenue has increased in every year except fiscal 2009 (which covered the recessionary 12 months of October 2008 to September 2009). So it's more accurate to say that the Mac family grew more slowly than the rest of the product line (although the iPod peaked in 2008 and iPad revenue apparently peaked in 2012). It was the iPhone that transformed the company. And in Figures 2 and 3 below, we're tracking the incredible growth of the warranty expenses that accompanied this transformation. The data is charted quarterly, following the calendar. So the three quarters of calendar 2014 and the final quarter of 2013 represent the company's latest fiscal year, in which it paid out $3.76 billion in product warranty claims and set aside $4.95 billion in warranty accruals. And there are 47 quarters of data in each chart. Notice that the quarterly peak for each of these warranty metrics came not in calendar 2014, but in 2013. Apple had three quarters in calendar 2013, one in calendar 2012, and one in calendar 2014, in which it paid out more than $1 billion in claims. Then came the peak: During the months of October, November and December 2013, the company set aside more than $2 billion in warranty accruals -- more than GM, Ford and HP combined. That's a rough way to start any fiscal year. But then in Apple's second fiscal quarter (covering the months of January to March), accruals dropped to $1.25 billion. In the third fiscal quarter (April to June), accruals dropped to $756 million. And then in the most recent quarter, they rose to $866 million. Claims payments grew by $57 million from fiscal 2013 to fiscal 2014, but accruals actually fell by $80 million over the same period, even with the $2 billion peak included. Exclude that quarter and the trend is even more surprising. During the first nine months of calendar 2014 (basically, fiscal 2014 minus that $2 billion quarter), Apple accrued $2.88 billion, down from $3.67 billion in the same nine-month period during calendar 2013. Now, let's compare these warranty expenses directly to product revenue. In Figure 4, we've taken the claims payments from Figure 2 and the accruals from Figure 3 and divided them each by the sum of the revenues from sales of hardware products such as Macs, iPhones, iPads and iPods. There seems to be three different phases in the chart below. During the initial phase, from 2003 to 2007, claims and accrual rates were moderate, mostly in the range of 1.5% to 2.5%. From 2008 to 2011, however, warranty expense rates were downright low. The rates remained below two percent throughout that period, and the accrual rate once dropped as low as 0.7%. And then since 2012, expense rates have been relatively high. Claims have consumed as much as 3.3% while the accrual rate has twice come close to four percent. One could look at Figure 1 and then Figure 4 and make some observations. First, warranty expenses were moderate when the product mix was Mac and iPod. And then in the early days of the iPhone and the waning days of the iPod, warranty expenses were at their lowest. When the iPad came on the scene and the iPhone came to dominate, expense rates hit their highest point. That's not to say anything about the quality or reliability of the products in question. But it does illustrate the theory that as computing and communications products get smaller yet more powerful and more sophisticated, their warranty expense rates rise. Warranty expense rates on desktop computers are lower than on laptops, and laptops are lower than smartphones. And we'll bet that smart watches and glasses turn out to be more warranty-intensive than even smartphones. It's not just Apple. One can see it across the computing industry, where Sun Microsystems Inc. once had much lower warranty expense rates than the desktop companies; where IBM once inadvertently revealed how expensive its laptop warranties really were as it was selling the division to Lenovo; and where "pure play" handheld companies such as Palm Inc. and Research in Motion Ltd. once reported some of the highest warranty expense rates of all. It's a sort of Moore's Law in reverse. Now, let's shift to the other side of the equation. In addition to Apple's product warranties, which cover most products for a year (two years by law in certain countries), Apple also sells the AppleCare Protection Plan and the AppleCare+ Protection Plan, which can add a year and sometimes two (as well as accidental damage protection in certain countries for the iPhone and iPad). Apple does not disclose its sales of these protection plans. Instead, it reveals the amount of revenue it defers each year from the combined sales of gift cards and protection plans. We're going to make three assumptions, which are going to make the accountants howl. First, we are going to assume that all deferred gift card revenue is classified as "current," meaning that it can be cashed in at any time. Second, we're going to assume that all "non-current" deferred revenue represents the second year of AppleCare coverage. And third, we are going to assume that there is an equal amount of "current" deferred revenue that represents the first year of AppleCare coverage. Using that formula, we calculate that in fiscal 2014, over $6 billion in AppleCare and AppleCare+ premiums were collected from customers worldwide, making this the world's largest extended warranty program of any kind. There may be some business-to-business product protection programs almost as large in the jet engine or heavy equipment industries, but we know of nothing of comparable size in the passenger car, brown goods, or white goods industries worldwide. If there is, please let us know. Meanwhile, we are estimating that Apple's gift card program brought in almost $5.5 billion in fiscal 2014, up from $4.8 billion in fiscal 2013. Therefore, gift cards represent almost half the deferred revenue, and most of the "current" deferred revenue, in each of the last few fiscal years. So please don't think we're underestimating the gift cards in order to overestimate the extended warranties. Quite the opposite. Notice that with our estimates, the gift card total rose from fiscal 2012 to fiscal 2013 while AppleCare sales actually declined a little bit during the same period (by $46 million, to be exact). That may have been a political move by Apple to appease the regulators in Europe and China, or it may be due to an error in our model. However, it's hard to change the assumptions in a way that makes the total worldwide size of the AppleCare program any smaller than $6 billion in fiscal 2014. So let's make the chartered accountants even more angry. Let's take that $6 billion in AppleCare premiums paid, and compare it to the $4.95 billion in product warranty accruals made. Obviously, they're different programs. However, what we want to point out is that the extended warranty side of the house has more money coming in than does the product warranty side of the house. In round numbers, out of the almost $11 billion that Apple brought in or set aside to pay for product repairs last year, 55% came from extended warranties while 45% came from basic product warranties. It was about the same ratio in fiscal 2013. But those two years turn out to be something of an anomaly. In the years before, the amount of cash coming in from extended warranties was massively greater than the amount being set aside for basic product warranties. In Figure 6, we've charted the warranty accruals from Figure 3 against the AppleCare premiums from Figure 5, setting their sum to equal 100%. In fiscal 2013 the ratio was close to 50/50, but from 2008 to 2012 it was closer to 30/70. In fiscal 2007, when the iPhone was launched, the ratio was actually 15% product warranty and 85% extended warranty. What we don't have are the corresponding expenses of the AppleCare programs. We know how much revenue was deferred and how much was recognized, but we don't know anything about the expenses or ultimately the loss ratio. On the other side, we know how much the product warranties "cost," because the company releases data on claims paid. But it makes no disclosures, and we won't venture any guesses, as to how much it spends on AppleCare claims. Does AppleCare Still Make Money? We'll assume they don't lose money, but who's to say they don't break even? Or to put it another way, back when extended warranties were bringing in $1.3 billion and basic warranties were costing under $300 million, somebody was making a lot of money. But nowadays, when extended warranties are bringing in about as much as basic warranties are paying out, those wild profit margins the consumer advocates like to spotlight just aren't there anymore. In Figure 7, therefore, we have only three of the four lines we'd like to see. The red and green lines, repeated from Figure 4, represent the incoming and outgoing amounts from Apple's product warranty program, divided by total product revenue to produce a percentage. The light blue line represents the incoming amount for the AppleCare extended warranty programs, calculated using the premium estimates from Figure 5 and the same product revenue figures used to produce Figure 4. The primary difference is that the product warranty calculations are made quarterly and are based on published data, while the extended warranty calculations are made only at the end of each fiscal year and are based on our estimates. Again, the light blue line is most analogous to the green line, while the red line's extended warranty analog is unknown to external observers. The most surprising conclusion is that AppleCare and AppleCare+ have accounted for less than four percent of Apple's revenue since fiscal 2010. And during brief moments at the beginning and end of calendar 2013, Apple was setting aside more in product warranty accruals than was being collected in AppleCare premiums. Compare that to fiscal 2007, when Apple made $227 million in product warranty accruals but sold $1.3 billion in AppleCare protection policies. That's more than a five-percentage-point gap between the two. At the same time, AppleCare outsold gift cards by almost three-to-one in fiscal 2007, by our estimates. That's a cash cow by any measure. In contrast, in recent years what we're seeing is a protection program that has grown to be the world's largest despite an effort to make it not so. On the one hand, Apple allowed gift card sales to almost catch up to AppleCare. On the other hand, AppleCare prices lost ground to both inflation and iPhone unit sales growth. For five years running, the AppleCare program has always represented less than four percent of revenue. For the seven years before that, it never represented less than 4.7% of revenue. That's an enormous change. Or we can look at it in a slightly different way. For the past two fiscal years, Apple itself has set aside almost as much to pay for warranty claims as its customers set aside to pay for extended warranty protection. Customers used to set aside two to even five times as much as the company did. Any way you look at it, AppleCare is a paradox. On the one hand, it's the world's most popular product protection program. Yet it brings in much less cash than it used to, compared to the products it's protecting. It's the opposite of aggressive price gouging. And it makes us wonder how close it really is to break-even. 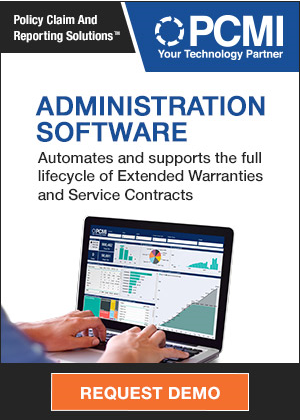 GWSCA launches online survey for warranty and service contract industry members. Apple replaces iPad destroyed by exploding NASA rocket. Website collects reports of bent Apple iPhone 6+ units. Samsung Galaxy Note 4 accidental damage from handling warranty explained. Apple facing class-action lawsuit over 2011 MacBook Pro GPU issues. Arcadia Chevrolet Buick sells extended warranty but doesn't register it with Zurich. HomeServe mails warranty flyers bearing Birmingham Water Works Board logo. Brand new wastewater treatment plant works out its problems under warranty. Toco Warranty offers direct-to-consumer vehicle service contracts backed by AmTrust. RadioShack's Fix It Here! mobile device repair service now available in Boston. VW defends safety of recalled Sagitar, extends axle warranty. Class action suit says Rust-Oleum breached warranty with product claims. Utility Service Partners adds 12 cities to Service Line Warranty Program. Jamaican regulators see no problems with new Motor Vehicle Import Policy. Warranty Direct unveils Halloween nightmare car. Annual survey shows Tesla Model S has average reliability. Patio Enclosures warranty expired when company went out of business. Assurant Solutions to acquire French mobile administrator CWI Group. SquareTrade to provide extended warranties on Chinese e-commerce portal DHgate. Stone Point Capital seeks buyer for Automobile Protection Corp. (APCO). At FTC's request, court shuts down the Pairsys Inc. tech support scam. Home warranty equals peace of mind. Arctic Cat says warranty charges reduced earnings by 26 cents per share. Hubbell says higher warranty costs reduced operating margins by nearly 1%. CNA Warranty partners with Remi to offer new equipment maintenance program. Some furniture warranties may expire before items are even sold. Reasonably priced home warranty provides peace of mind to buyers. Carrier Transicold boosts warranty of Vector refrigeration units. Samsung South Africa reduces Galaxy Note 4 accidental damage coverage. RadioShack's Fix It Here! mobile repair service available in Chicago. Online retailers in India say electronics warranties must be honored. US Senator faults automakers for misleading customers about new car warranties. BT Global Services exec says big data can help reduce warranty costs. Leaks at Vancouver's BC Place will be fixed under warranty, government says. Deutz revises financial forecast, blaming engine warranty and goodwill costs. Feud rages in Australia over car warranty repair data. ACCC says Telstra misled customers on smartphone warranties. Four mobile insurance companies in India compared. Worries over costly iPhone service contracts ruin Malaysian diver's performance. Vauxhall defends dropping its lifetime warranty offer. New home's warranties didn't transfer to second owner. County Board buys extended warranty for its election equipment. Liverpool MP to demand answers on Scottish Power warranty scandal. Saudi merchants urge regulators to back away from mandated warranties. Golden Gate Capital puts Interstate National Corp. up for sale. Nissan Canada boosts warranty coverage on NV van to 5 yrs/160,000 km. City of Hamilton, Ontario, gets pushback on sewer warranty plan. McCusker launches protection program to surge protector manufacturers. Asurion develops new phone protection plans for Wind Mobile.